It feels like we were just celebrating our successful 2018 season! We are excited to get back on the pool deck and get started on a new season, full of fun and making new memories! As you know, the swim season is a rush of emails with a lot of information. To that end, communication is paramount to making this the best season yet. Please ensure that the email address listed on the registration form is current and checked often. This will be the best way to check for updates. Our goal at Cranbrook Swim Club is to provide opportunity and encouragement for each swimmer to fully develop her or his potential. We strive to achieve this goal through intergrity, commitment, teamwork and sportsmanship; which as we know are fundamental to the pursuit of personal excellence. Private lessons are available with team coaches, certified lifeguards, and managers. For all swim lessons, please contact club to schedule. We will be offering lap swim time daily, with the exception of home meet days, from 6:30PM-7:30PM. We will not be offering morning lap swim this season as it was not well attended last season. There is a BHC tri team that swims on Friday mornings at 5am. Contact the club for details. SWIM TEAM is for those swimmers who can swim 2 full lengths in 2 competitive strokes. It does not have to be pretty or perfect - they just have to be able to get across the pool. If they aren't ready, consider our JUNIOR DOLPHINS, formerly know as pre-team. If you are not certain whether your swimmer belongs on the team or Junior Dolphins, please bring your child between 5:00-5:30pm after May 21st, or have your child attend a pre team practice, (5:00 - 5:30), after May 29th and coaches will assess and advise. Please contact the swim chairs with any questions about swim team at: swim@cranbrookswimclub.com . Kate Murphy continues as our head coach for the fourth year. Coach Kate is the Birmingham Blue Dolphins (BBD) 9-10 Lead Age Group Coach and Assistant Coach for the 11-12 Age Group. She teaches Social Studies at Groves High School and is an Intervention Specialist in the Social Studies Department at Berkley High School. We are excited to have her leading our Cranbrook Dolphins! Stroke Clinics (optional) 12:00-12:30, 12:30-1:00Mon.- Thurs. Clinics are run by Coach Betsy with help from the other assistant coaches. Each stroke clinic is 30 minutes for 4 days at a cost of $40 per week. Starts and Turns clinics are held each regular season meet day for 30 minutes at a cost of $10 per swimmer. Please see the swim board at the club for clinic sign ups. If you know that you cannot make a meet Please click here to sign up on the "Cannot Swim" sheet. Please sign in the "I Can't Swim Sheet" on SignUpGenius as soon as you know your child won't be available for a meet -- LATEST 2 days before the meet. If you realize less than 2 days before a meet that your swimmer(s) cannot attend, please email Coach Kate immediately -mailto:headswimcoach@cranbrookswimclub.com . Coach Kate puts in a lot of time to create the swim schedule. It is greatly appreciated if you give her as much notice as possible to make any adjustments to the schedule....so please reserve this for emergencies. For meet information including start times, maps, other club addresses, meet results, CLICK HERE to go to the Northwest Suburban Swim League website, (NSSL). This year team suits will be available through the Varsity Shop. They will have samples available for sizing. The last day to order spirit wear is May 29th at 11:59pm. 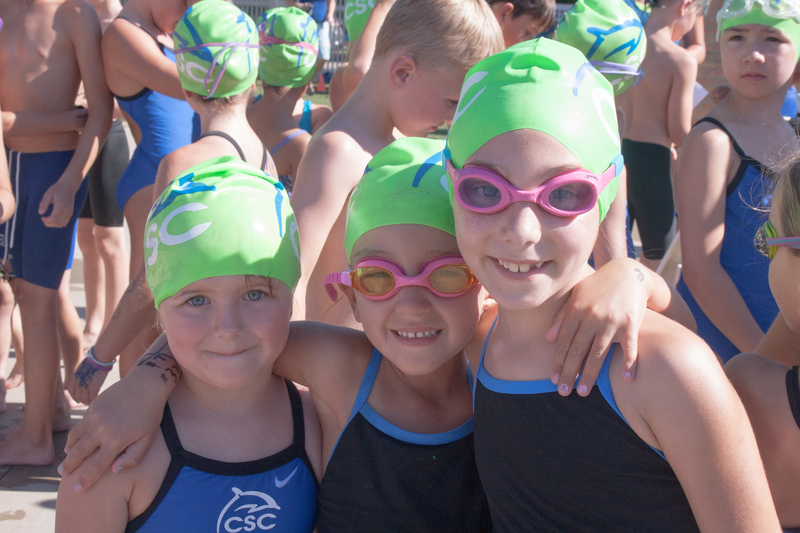 Your child may only wear a CSC team cap at a meet. No other caps will be permitted during meets. Team caps (latex and silicone) will be available for purchase at most practices. Team caps make our swimmers easy to spot when racing. Each family is required to volunteer for at least 2 slots during the season (2 slots for dual parent families and 1 slot for single parent families). https://www.signupgenius.com/go/70a0b4fabab2aa57-2017 SIGN UP EARLY TO GET THE SPOTS YOU WANT. Lastly, if you are interested in more indepth information about the swim leagues; click on the NSSL link below for details on event line up and much more! **Sign up for up to 2 events. Coach Kate will choose relay teams. Club closes for home swim meet against Forest Hills. To swim, visit Forest Hills during this time. 11 & Up mini meet - all relays all fun! We are off to Heart of the Hills for a friendly competition! Club closes 3pm. 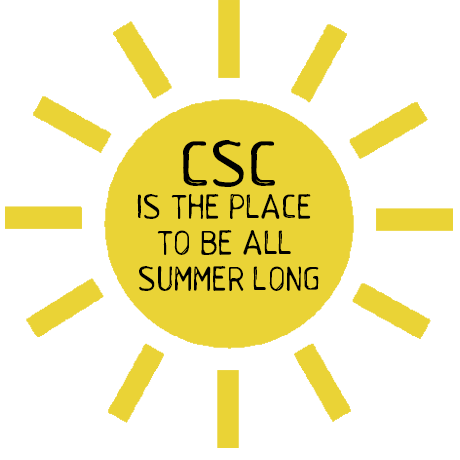 CSC Members can use BHAC. **Sign up for up to 2 individual events. We are off to BHSAT! We are off to Woodside for some friendly competition. A Finals Breakfast for Championship Swimmers.